OTHER/Shop (3 Berwick St, Soho) are hosting a pop-up with Danish brand mfpen on Thursday, September 20. I think I’ll check it out. 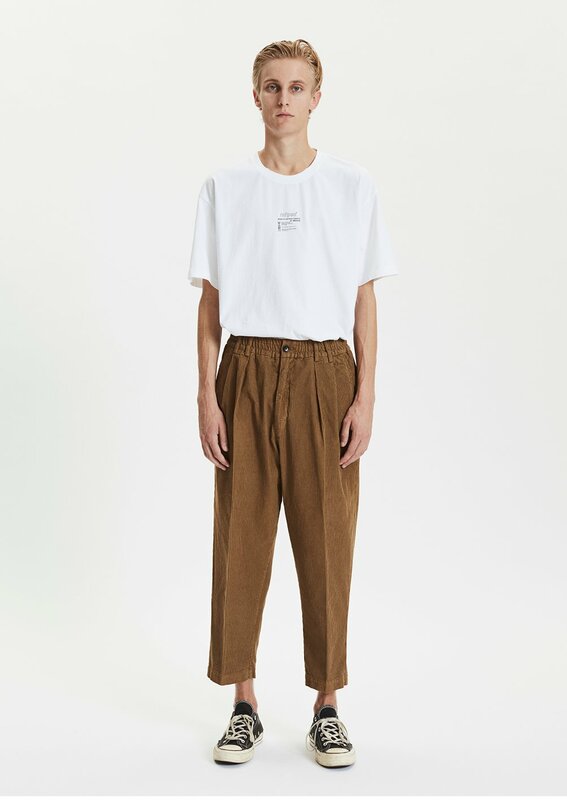 Don’t own any mfpen, but checking their site and gram it appears they’re exploring that stripped back, roomy-dad-wear vibe so beloved of brands like Our Legacy and Tres Bein. I like the look of these cords. There is an irritating ‘trend’ for ochre, clay and other soily colours of cord right now. But that won’t last. 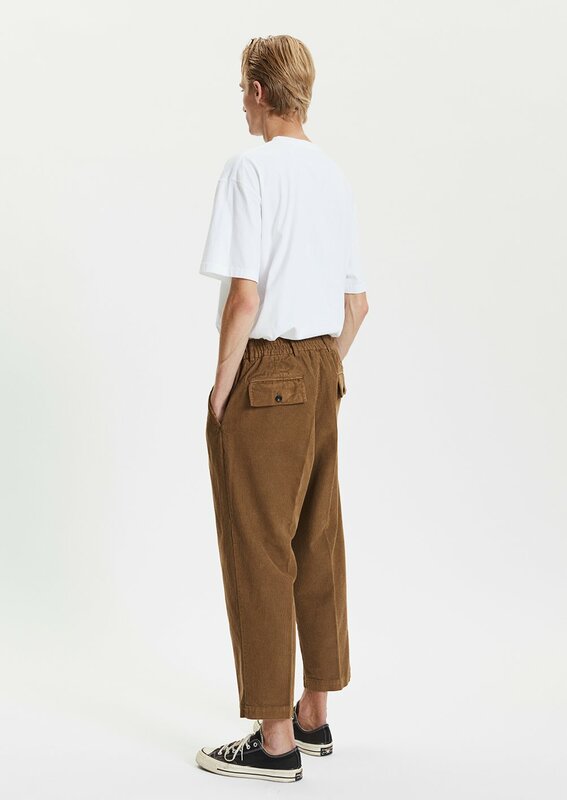 Once the swarm of high street raptors have passed, the more discerning clothesman can get on with enjoying modern and functional corduroy clothes like these. 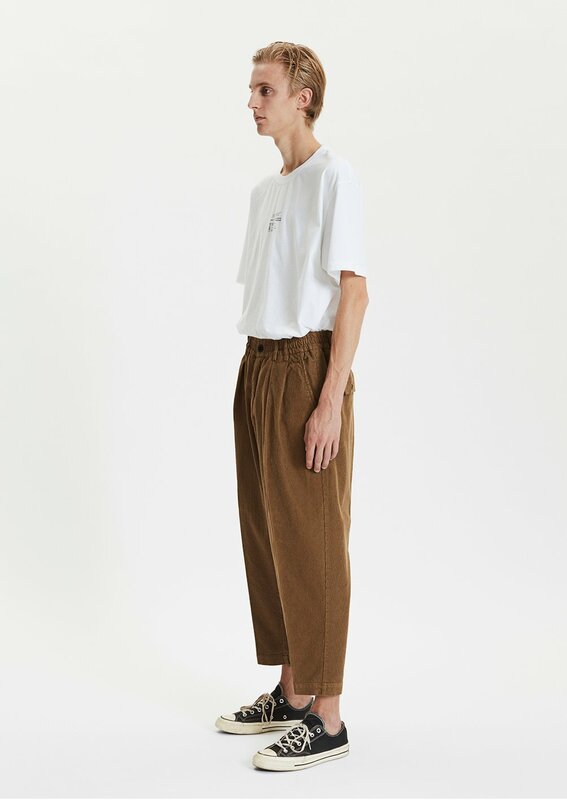 I’m frequently afeared of pre-cropped trousers. Once they’re on you’re kind of stuck with the length; with some footwear they look right, with other – lower styles – it can feel like there’s a universe of sock between the top of your shoe and the hem. 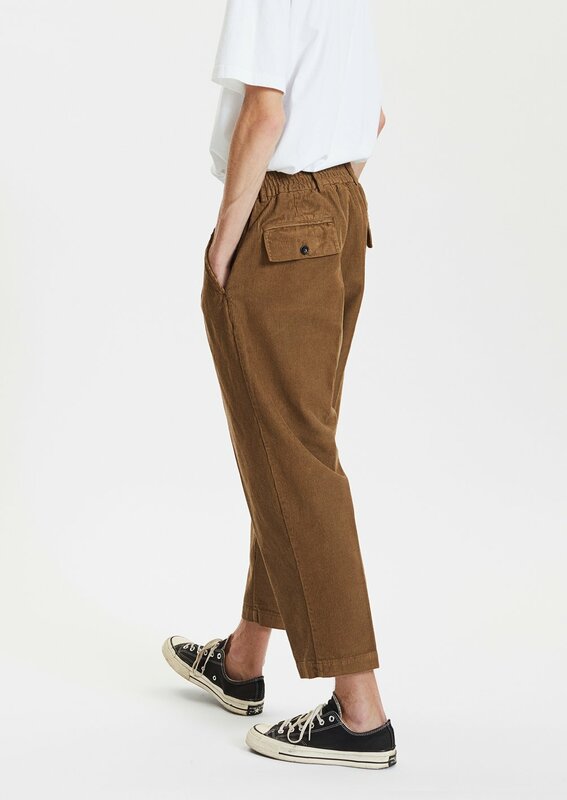 Don’t get me wrong, I enjoy a cropped trouser, but I do prefer to avoid looking like a gurgling nutcase on the run from a bedlam. Crucially though, these cords have an elasticated waist. That means if the crop is feeling a little aggressive, you’ll be able to wiggle them down a bit, wear them lower on the hips, closing up that sock gap. They look superbly cut, but even so, I’d probably size up; baggy is, after all, best. I love the pleats, I love the pockets and at around the £180 mark, they’re in the realm of the reasonable. I’m going to investigate this brand further. And looking at these, I might need to be packing a couple of ton at the pop-up. At least.